Political observers believe that the timing was deliberately chosen as to coincide with the 40th anniversary of the coming of Ayatollah Khomeini to power in Iran in 1979 and the overthrow of the Shah. The Iranian regime strongly criticized Poland for hosting the summit. Teheran claimed that during World War II, among the millions of refugees fleeing European countries because of the war, more than 100,000 Polish people came through the former Soviet Union to Iran, and settled in the country. In another move, at the Polish film festival to be held in Tehran for the 40th anniversary of the mullahs' reign, the festival's management removed the Polish cinema section from the program, in protest against the Warsaw Conference. The outrageous and unjustifiable reference to persons passed away more than 70 years ago -who deserve only respect, the fond memory and prayers of their families, and must continue to be honored in that cemetery- show the extremely bad taste, the incredible arrogance and at the same time the profound weakness of this theocratic regime in confronting challenges and crises that grow day by day. The mullahs , incapable of preserving their existence, hang on to European countries ready to help, but for very doubtful reasons.The Iranian regime knows too well that it has no legitimacy and no popular base. It therefore believes that is a god idea to exploit EU Governments and Institutions that, in their view, are far from having the political determination of the Americans in isolating the regime. 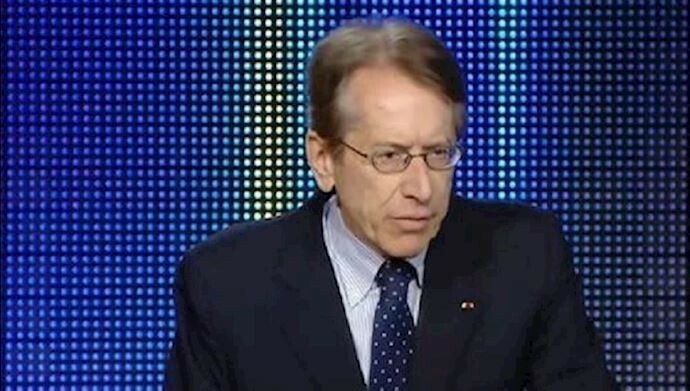 At the end of the day however, as Mrs. Maryam Rajavi said, Europe will recognize that taking side with the United States- instead of appeasing again a hated religious dictatorship- is in their own national interest . Against this background this February 2019 can very well mark the end of a tragically long page of world's history which started in 1979 with the Guadalupe summit and will be gone with the Warsaw Conference . "In these 38 years, the mullahs have been in war for eight years with Iraq and six years with the Syrian people, and they have been confronting the international community for more than 10 years to build a nuclear bomb." Recently, we saw that Ali Akbar Salehi, the head of the Atomic Energy Organization directly acknowledged on January 22 in the Iranian state television that he had lied to the international community and deceived the International Atomic Energy Agency (IAEA) about the Arak nuclear project . The regime resorts to any imaginable act to survive. Bloody repressions inside the country, nuclear projects, long-range missile programs, official and overt support of terrorism, arming of militias and proxies all over the region, supporting Syrian dictator Bashar al-Assad, killing and displacing millions of Syrians, massive assistance to Lebanese Hezbollah, interference in Iraq domestic affairs, help to Houthis in Yemen against a legitimate government, to Talibans in Afghanistan, are all obvious examples of the Iranian regime's warmongering in the region.But no one of these actions makes the clerical fascism stronger. On the contrary all signs indicate that the time of the mullahs' is over.It is therefore needed at the Warsaw Conference a decisive and binding decision against the regime, in order to contribute to peace and security in the Middle East. The best political solution for bringing back to the Iranian people freedom, justice and economic prosperity lays in the hands of the National Council for Resistance of Iran (NCRI), reliable in its vision of a pluralistic society and a credible democracy, remarkably organized, loyal to all the commitments undertaken over the past three decades. As a resistance movement, it has always maintained its clear principles and i has payed heavy prices for being coherent and trustworthy . The Iranian regime has resorted to every possible measure to destroy this alternative. In particular, in order to disrupt a major Iranian gathering on June 30, 2018, it plotted a terrorist operation with the help of its diplomat-terrorist in Austria and his agents in Belgium and in several other European countries. Two days after the Villepinte gathering, the announcement of the arrest of the accused and the foiling of the planned terrorist operation turned into a global scandal for the mullahs.